Hard-wearing polycotton work trousers from Warrior, available in different waist sizes and all with 31″ inner leg seam length as standard. 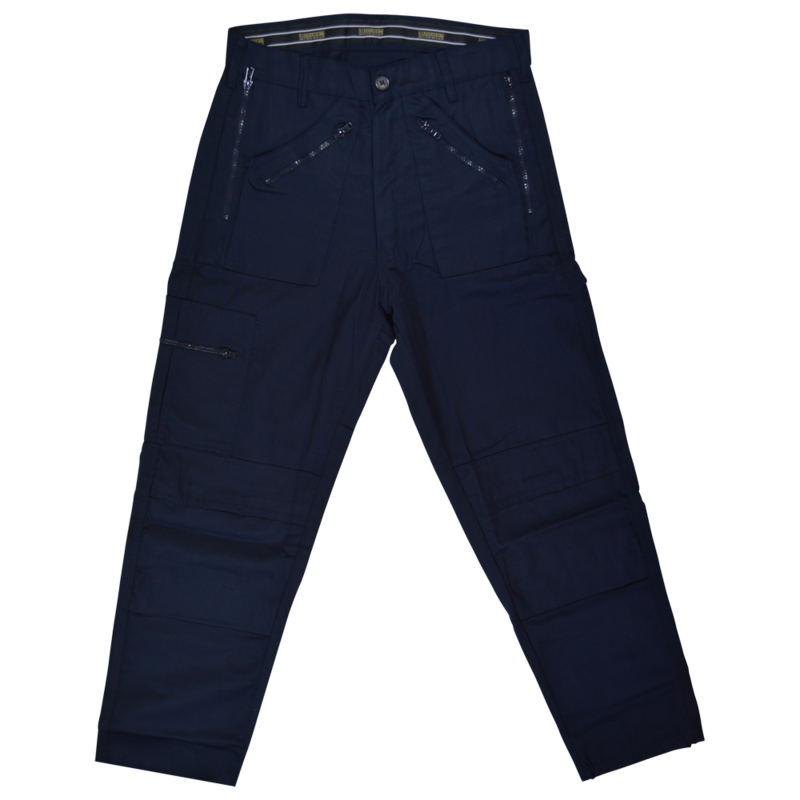 With a navy finish, these trousers feature double seat and knee patches and multi-sized pockets. 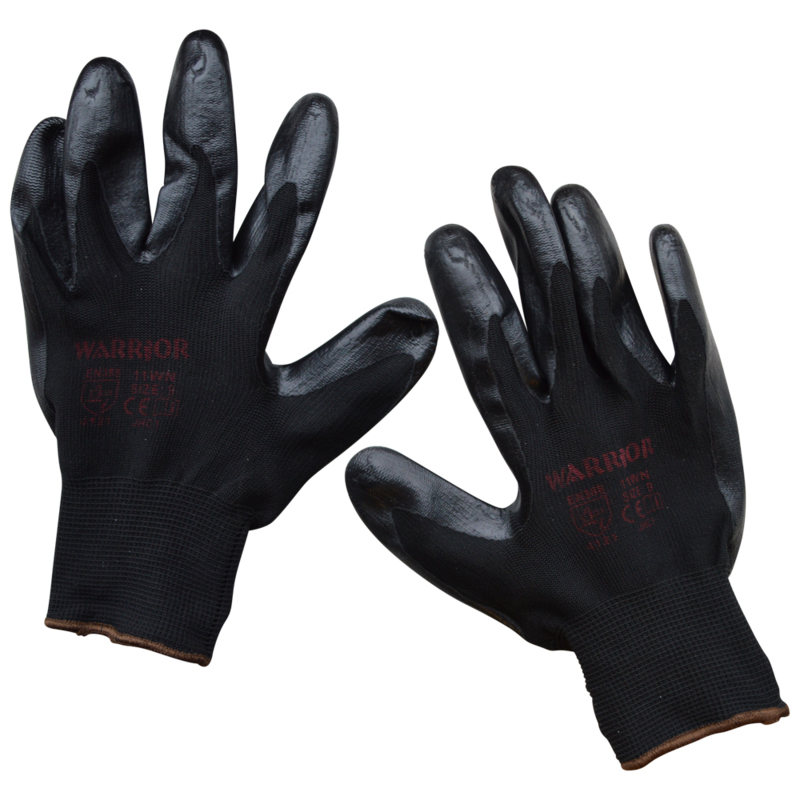 Lightweight but hardwearing flexible PVC dipped gloves from Warrior. 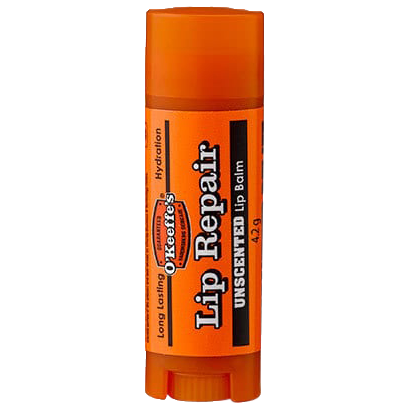 The PVC dipped coating provides resistance to abrasion, blade cuts, tears, punctures and glue adhesion. 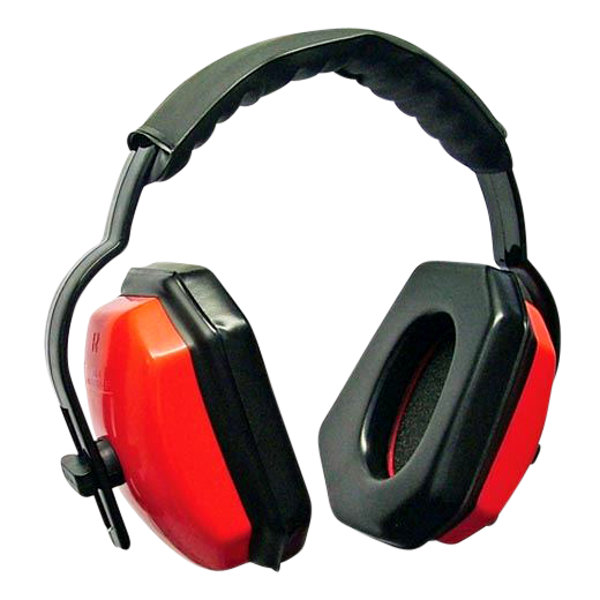 Lightweight and hard wearing adjustable red ear defenders from Warrior with soft cushioned ear pads, designed to block out excessive noise up to SNR 25db. 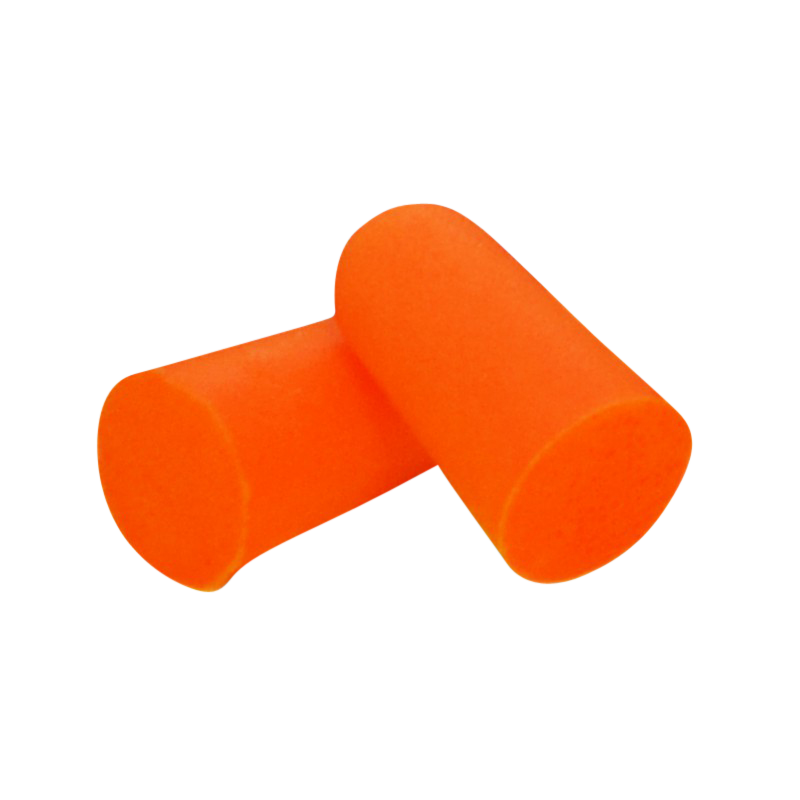 Pack of 5 light weight orange ear plugs from Warrior. 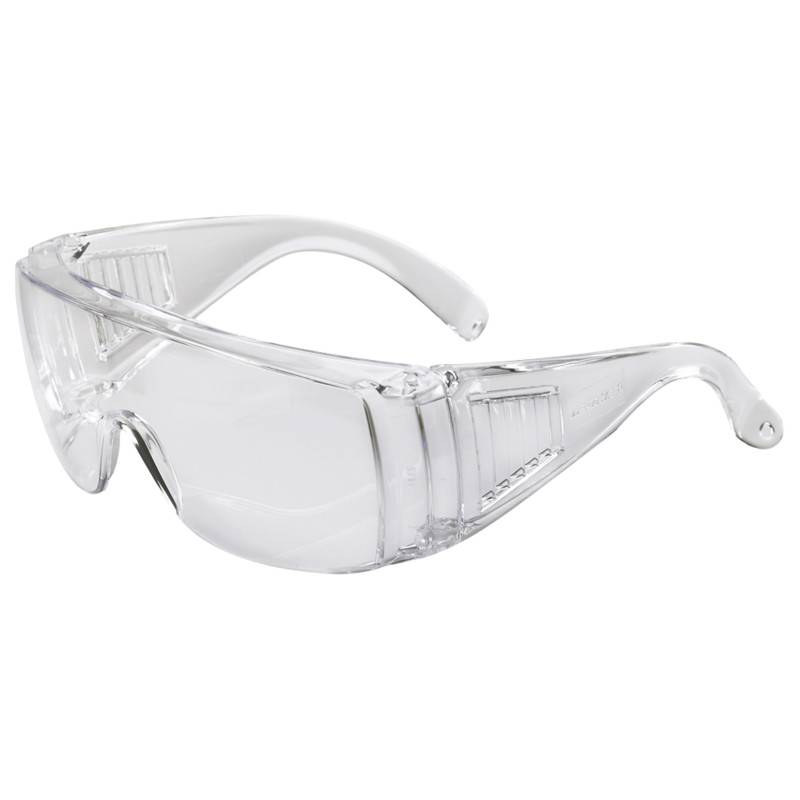 These wraparound general purpose safety glasses are made with polycarbonate anti-static lenses and have ventilated side arms. 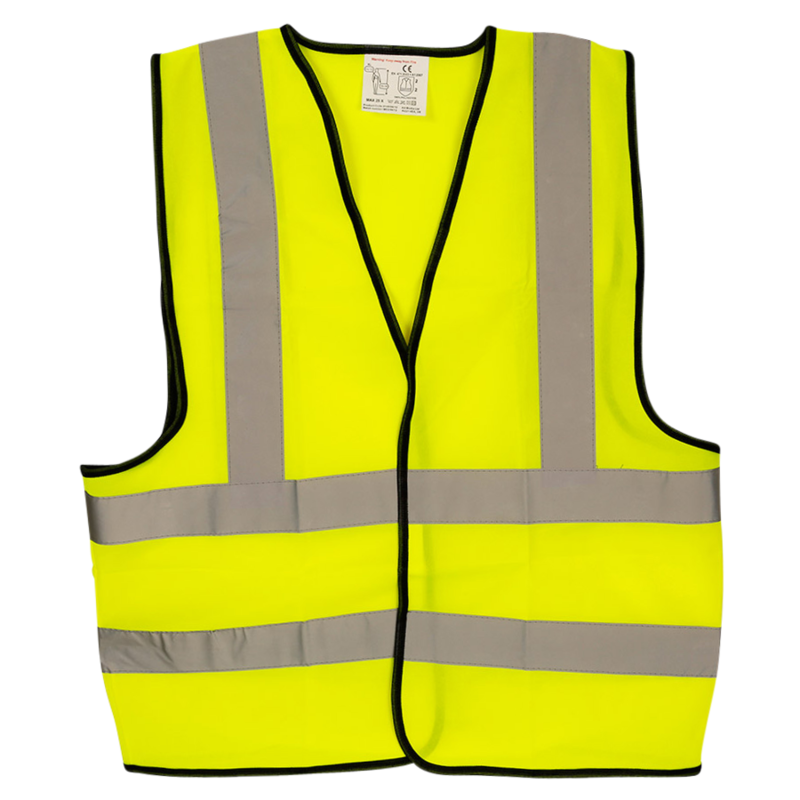 This hi visibility bright yellow safety vest from Warrior is available in various sizes and features Velcro fastenings and reflective strips. Flexible but hard wearing Polo Shirts from Warrior, ideal for workwear. 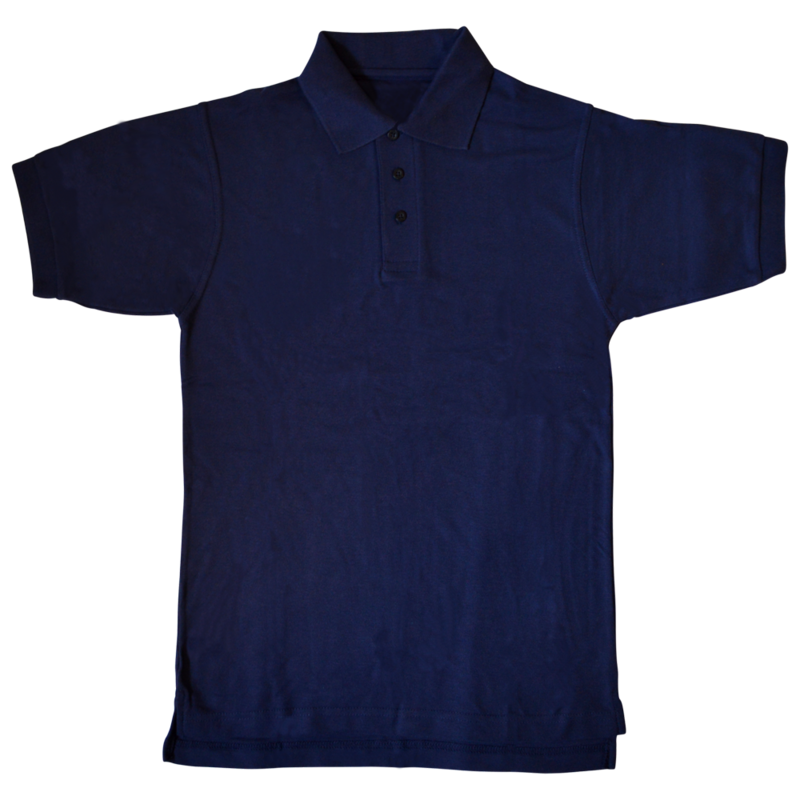 Manufactured from polycotton fabric with 3 buttons, cuffed sleeves and side vents. 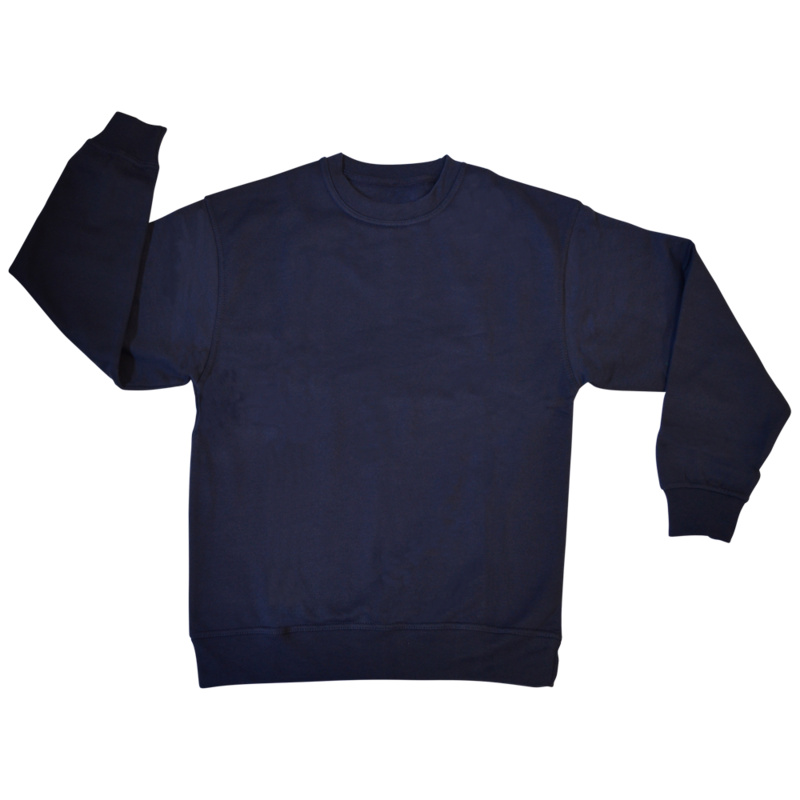 Hard-wearing polycotton sweatshirt with a warm fleece inner, which is ideal for use as corporate and professional workwear. 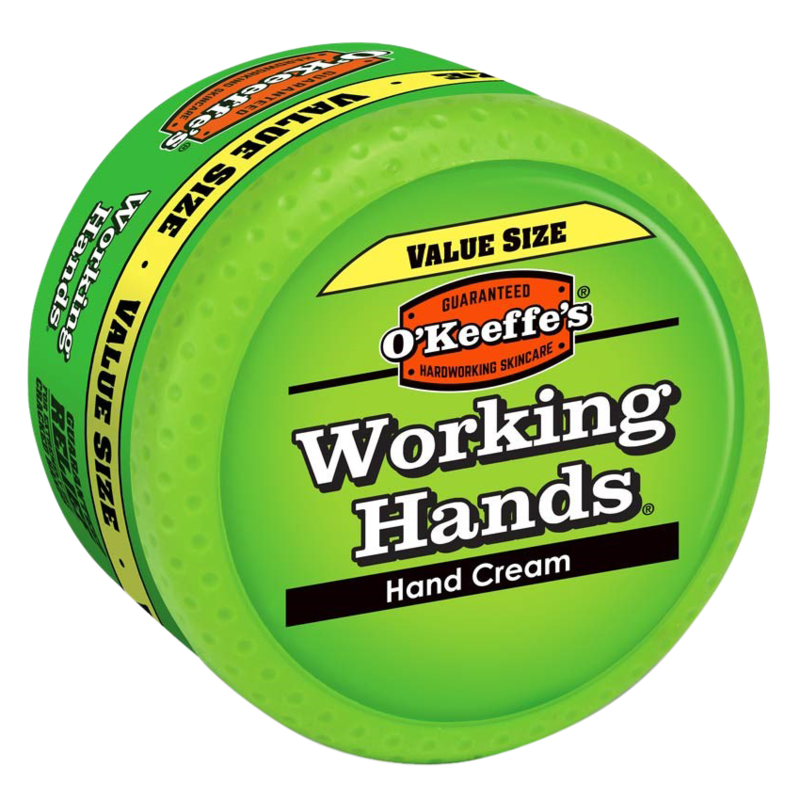 Featuring ribbed cuffs, neckline and waistband for both warmth and safety purposes, preventing cuffs from being caught in machinery or racking. The durability and warmth makes them particularly suitable for use as workwear either outdoors or in potentially cold environments such as warehouses. The fabric can be embroidered, making them an ideal choice for companies wishing to embellish staff workwear with their own logos. 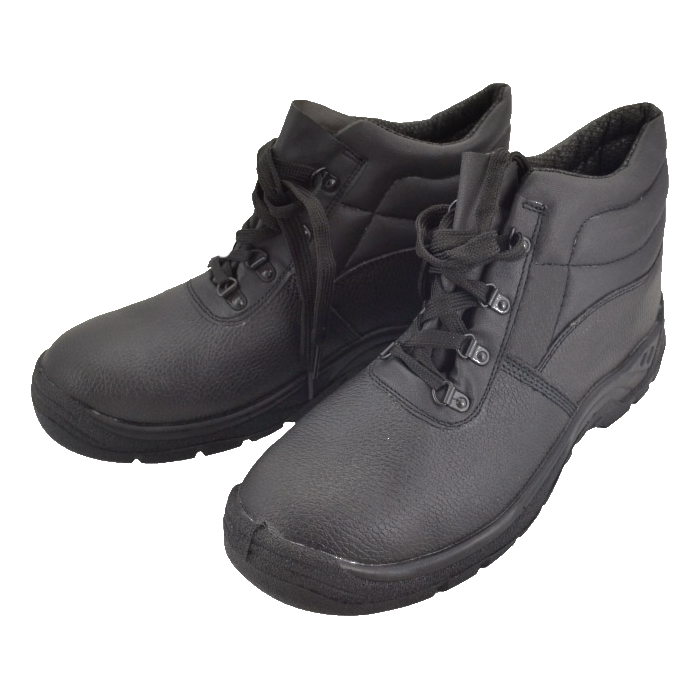 These robust and comfortable heavy duty work boots from Warrior have 200 joule steel toe caps, leather uppers and shock absorbing heels. In addition to being anti-slip, anti-static and heat resistant, the soles are also resistant to harmful liquids such as oils, acids and alkalis. Instead of holes in the leather for the laces which are prone to ripping, these boots are fitted with steel ‘D’ rings and supplied with thick laces.